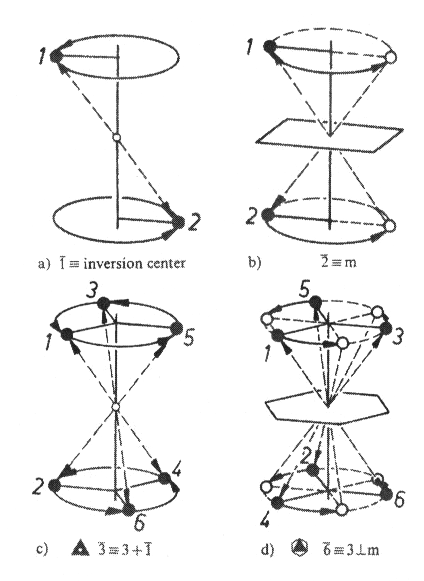 My issue is that I am not convinced of this, because in theory there is rotation followed by an inversion and they do not happen simultaneously. 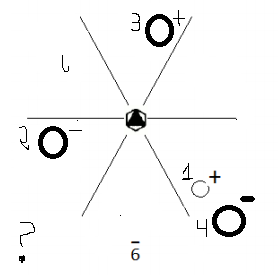 So if this is wrong, what is the correct representation and why? 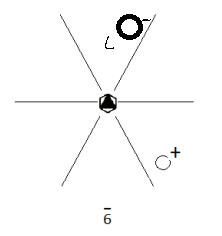 The image below gives some example of different rotation inversion operations. 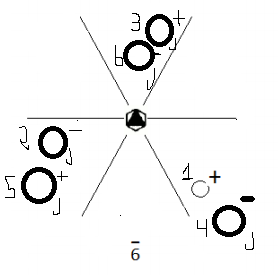 For the $\bar 6$ operation rotate by 60 degrees (black dot to open circle in the direction towards 3) then invert through the centre of coordinates to the opposite side. 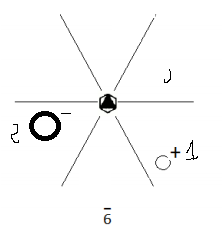 Inversion changes a point at (x, y, z) to (-x, -y, -z) thus, in the diagram point 1 becomes point 2 after the whole operation, then 2 becomes 3 and so on. 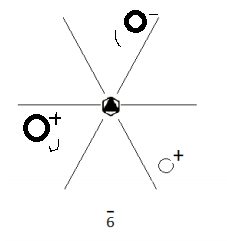 Two $\bar 6$ operations moves 1 to 3 and 6 operations places it back where it started. Not the answer you're looking for? 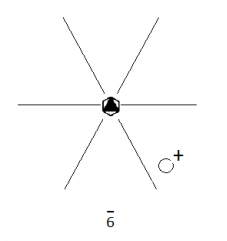 Browse other questions tagged symmetry crystallography or ask your own question. 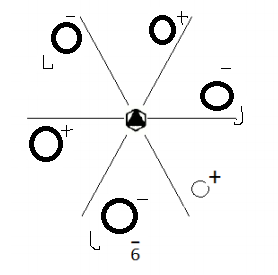 Vibronic coupling: How do I determine the new point group after vibration?